← Drop Seizure or Drop Seizure??? This week the New England Journal of Medicine published a double-blind study on the effectiveness of Cannabidiol (CBD) on seizures demonstrating that it was safe and effective for kids whose seizures could not be effectively controlled with typical anticonvulsants. The publication of the study set off a media storm with the results reported in hundreds of newspapers and on electronic media. 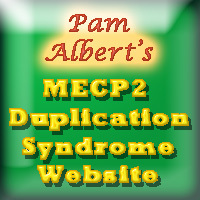 The actual study focused on individuals with a Dravet syndrome diagnosis and so it is difficult to know how well it can be applied to individuals with MECP2 duplication. Nevertheless, there are some interesting findings and likely impacts with potential implications.First, the publication in this study in the prestigious New England Journal of Medicine has given new respectability to the claim that CBD works. In reality, there has already been a lot of supporting evidence, but this study and its publication in NEJM have moved the discussion from the fringes to the mainstream. This greatly accelerates the movement of CBD into mainstream medicine, and the potential for high-quality CBD products to be covered by health insurance plans. Coincidentally, the Benefits Canada Newsletter published a story on how health insurance plans will have to figure out how to cover medical marijuana the day after the NEJM study was published. Second, the results of the study help clarify the kind of outcomes to expect. Some of the anecdotal reports of kids whose seizures have vanished completely have really raised some unrealistic expectations. In the NEJM study, about 5% of the individuals DID attain complete freedom from seizures in the treatment phase. Most, however, had more modest improvements. The median frequency of seizures dropped a bit more than half from 12.4 per month in the baseline period to 5.9 per month during the treatment period. This is an impressive difference. Third, this study provided some potentially useful data on the types of seizures that CBD diminished the most with CBD. 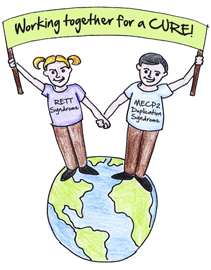 While more data is necessary to see if these findings generalize to other groups, the fact that CBD’s most powerful effect was in reducing frequency of atonic seizures should be particularly encouraging to families of individuals with MECP2 duplication syndrome. 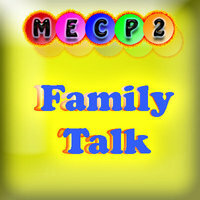 This also appears to confirm the anecdotal observations of some of the families of individuals with MECP2 duplication that some kinds of seizures respond to this treatment more than others. Although it may be harder to measure in a research study, we have also seen a reduction in severity of the remaining seizures along with a drop in frequency. This entry was posted in Research, Seizures, Treatments and tagged CBD, Research, Seizures, treatments. Bookmark the permalink.